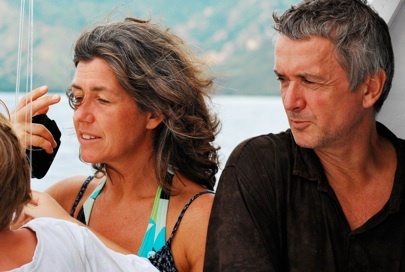 In August 2009 we packed our suitcases and moved to Bali. The idea was to take a year off from everyday life and to experience some experience some adventure together with the kids. We had decided that Southeast Asia seemed far enough – way off the beaten Swedish track. 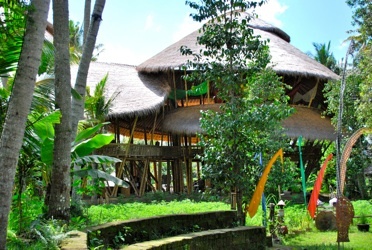 The main reasons for picking Bali was their newly started international school – Green School – built in bamboo and situated right in the jungle. This seemed exotic enough, and it sure was – not only for the children but also for us who were suddenly involved in a documentary film project meeting all sorts of fascinating people – teachers, parents and students from every corner of the world. Among all these interesting persons there was one that immediately caught our attention. He was a small thin guy with thick glasses, a razor-sharp intellect and a dark, but warm, sense of humor. In this new and challenging surrounding with poisonous animals, infection risk and strange diseases, he soon became a central person in our daily life. Being the caring and empathic person that he is, he also was a strong support to the young ones – who often used his bamboo cabin as an escape resort for a couple of minutes or so during long school hours. To put it short: Without Dr Ating we definitely would not have managed to move from Sweden as well as we did. We know that many other families has similar experiences. During this year the doctor told us many stories and showed us pictures from his fantastic life and one day he revealed his big dream – going back to Sulawesi and work with the poor people and the endangered wildlife in Lore Lindu National Park. Of course this was just a dream – impossible because it would demand a lot of money. Money that he never could to raise by himself. And so, here we are. One year later we are back in in Sweden launching a foundation built around this small man with the big heart – a person who could have had his own chair at some scientific institution but who, like Mother Theresa, prefers the hands on work at places where it is needed the most. Our goal is to have the Dr Ating foundation up and running during autumn 2012. We sincerely hope that you will join us.